Hi...I'm Maggie and I'm hi-jacking Mike's blog this week. 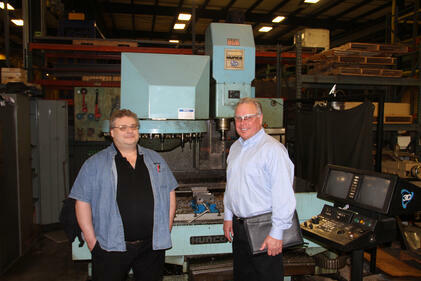 As the Product Technical Specialist, Mike visits shops throughout the USA. Last month, he got stuck in the Northeast during one of many snow events that region has experienced. When he got back to the office, he told us about his trip and I thought it would be good information to share with his readers. 1. I don't have time for training. Is it really worth it? Mike was in NJ conducting an on-site training session because he is a veteran applications engineer, which means he was here at Hurco during the UltiMax days (UltiMax was the Hurco control operating system prior to WinMax). This particular customer had an older Hurco with UltiMax, and decided they might be able to improve setup time with some training. Smart move! The part that was taking them 3 days complete now takes just 4 hours! Mike helped them adjust speeds and feeds so they didn't burn up tools and scrap parts. 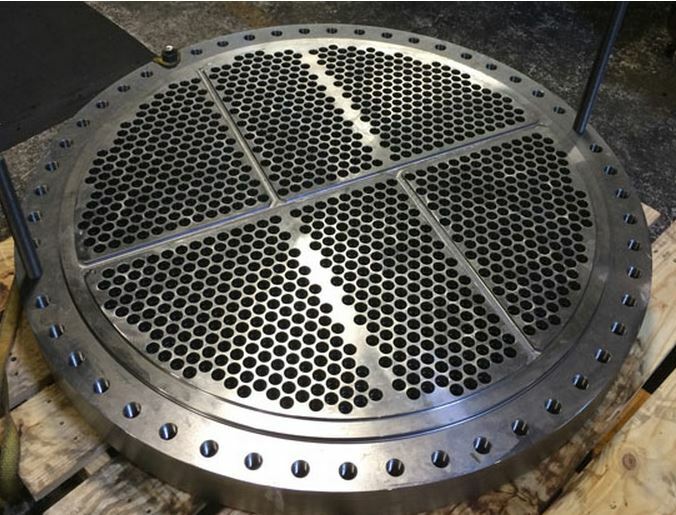 Part of the lengthy 3-day part time was due to the fact that they could only complete part of the operation on the CNC mill, and felt they needed to finish it on the manual machine. This was due to a lack of training on the CNC mill. With training costs of $5K plus travel expenses, it doesn't take a mathematician to see that the investment in training paid off...IMMEDIATELY for this customer. By training the crew about the control and its capabilities, Mike helped them figure out a better process that saved tons of time. For instance, on the one side of the part, they had to chamfer all of the holes. The other side had to have two grooves in the holes dimensioned from top side down. They were doing those grooves with a mechanical tool, and sometimes the tool would fail. Mike helped them change the type of tool they used for the grooves, which gave them more control over the grooves.Now, they can get everything done in one setup except chamfering the holes, which they can do offline while the next part is running on the CNC. Obviously, all of us at Hurco want people to buy new machines. However, we are proud that the old Hurco stand the test of time...to borrow an old school jingle from the Timex watch commercial "they take a licking but keep on ticking!" However, when Mike explained how he had to train the NJ shop to program the part using the old UltiMax control, we discussed what control features they were missing since they didn't have a new machine with WinMax (and more important, how much MORE TIME they would save by investing in a new Hurco with the latest WinMax control).The specific WinMax features Mike said would have made a big impact on this specific part are: Tool Change Optimization and UltiMotion. finishing, and holes operations, which makes it more efficient. Below is an example from a test part. are complete. Without TCO, this puts pressure on the programmer to program around all of these tool changes manually. UltiMotion is only available on Hurco mills because we invented it. It's an entirely new way to approach motion control. Instead of hardware, software controls the motion system, which means it can react faster with less machine jerk. The advantages to UltiMotion are immense: you can read all about this technology at www.hurco.com/ultimotion, but for this specific part, the benefit would be the drill/tap efficiency of UltiMotion. To simplify it, UltiMotion is able to take the shortest path from hole to hole that results in impressive cycle time reduction when machining parts with many repetitive tasks, such as drilling and tapping. For rigid tapping, UltiMotion deploys a coordinated motion control mechanism that monitors the spindle angle at all times and instructs the axes to follow the spindle position. It also has the flexibility to choose higher speed/RPM to retract the tap tool out of the hole. For example, a customer can set the retract rate up to 100 times the in-feed rate. Training is an investment. Your business is worth it. Make sure you keep your crew trained, especially as new people are hired. Second, consider what you're missing when you buy used. It's easy to get in the rut of doing things the same way, but technology is continually evolving and improving. Thankfully, our new control lets customers upgrade to the latest software so you don't have to miss out on improvements. Lastly, Mike needs to learn how to get the training assignments south of the Mason-Dixon line during the winter and save Jersey trips for spring, summer, and fall.